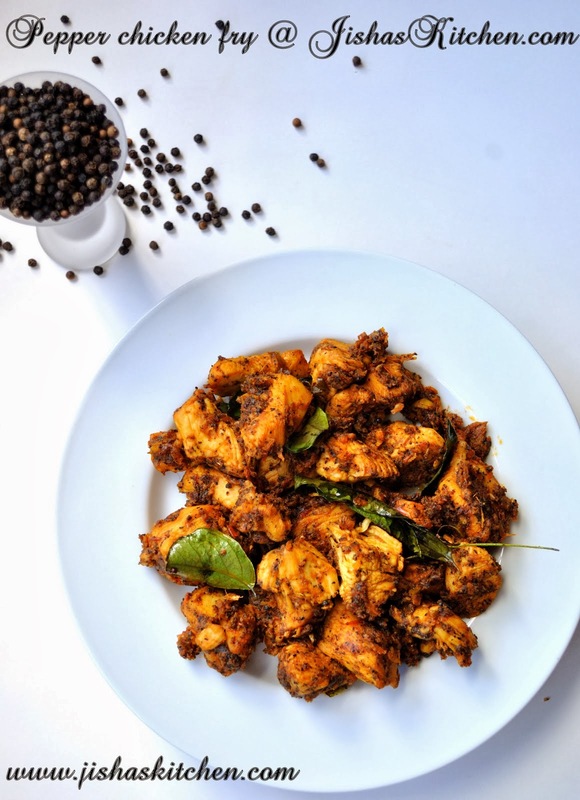 Kerala style chicken curry is one of my favorite non-veg curry. I am sharing my mom's Kerala style chicken curry. Wash the chicken pieces nicely.And then marinate the chicken pieces with 2 tbsp lemon juice, salt & 1/2 tsp turmeric powder. And keep it aside for 15- 30 minutes. Then dry roast 2 small pieces of cinnamon sticks, 6 cloves, 3 cardamom, 1/2 tsp fennel seeds and 2 star anise for 2-3 minutes and then grind them into a coarse powder. Then heat 1/4 cup oil in a pan and add thinly sliced onions and saute it till it become soft and then add chopped ginger, chopped garlic , curry leaves and green chillies. Saute it for another 5 minutes. Then add chopped tomato along with little salt. Fry till tomatoes are nicely done. Then add the chicken pieces and mix it nicely.Then cook it uncovered for 5 minutes. Then close it with a lid and cook in medium flame and allow it to cook in its own juice. After 15 minutes add 1 tsp of ground spices and mix it nicely. Then add 1 cup of thick coconut milk along with enough water, depending on how much gravy you prefer. Then cook uncovered for some more time, till the gravy reaches the desired consistency. ( Note: Chicken usually need 20-25 minutes for cooking ). 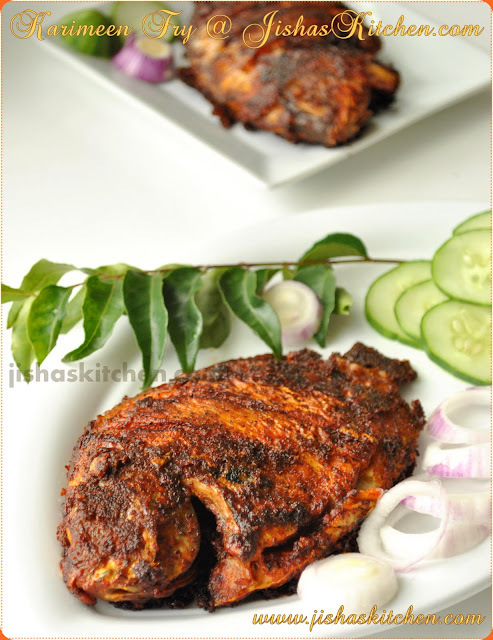 When its done remove from the flame and garnish with coriander leaves. Note: Adjust the amount of Red chili powder and Pepper powder according to your spice tolerance level. nice curry..pics looks great ! looks good...i will try it sometime. thanks. I am following your blog. you are welcome to follow mine too. Thanks for the wonderful recipe. It was indeed a treat for our tongue. Good going & keep up the good work.